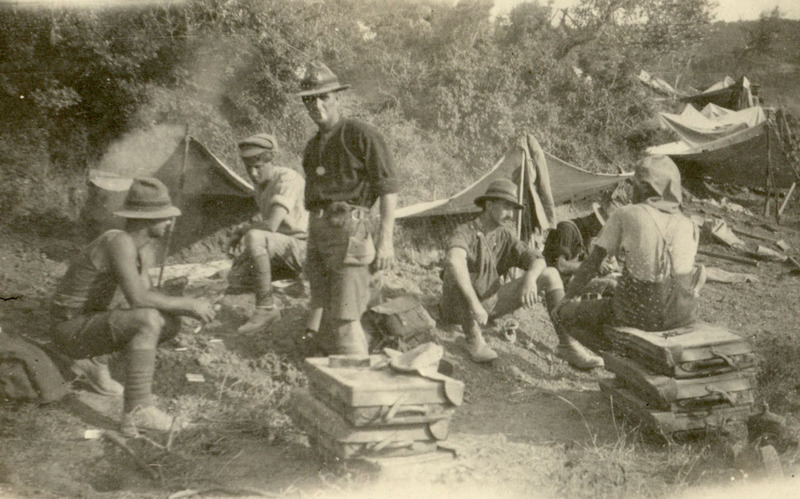 A photo of the Bivvy shared between 9/803 Corporal Curll Alexander Gordon Catto and 9/337 Trooper William Parlane (pictured), No 2 Outpost, Gallipoli. The August offensive on Chunuk Bair was a gruelling experience for the troops. The terrain was unfamiliar, dusty and steep, and the soldiers had to cope with sweltering midsummer heat. Many were suffering from some form of physical ailment. With rotting bodies, flies and lice all around during the summer of 1915 at Gallipoli, life was physically difficult for New Zealand soldiers, and illness was common. Cases of diarrhoea, dysentery, and enteric fever (typhoid) increased during summer, with over a thousand men reporting sick in July. The constant demands of trench life, combined with the inadequate living conditions and a poor diet, saw a general decline in the health of New Zealand soldiers. Most lost up to a quarter of their body weight. ‘They were shadows only of the men who had left Egypt so short a while before,’ wrote Ormond Burton, a stretcher-bearer at Gallipoli. In the lead-up to the August offensive, orders were passed to keep every man possible at Gallipoli. In theory, only the fittest of men should have participated in the fighting. That way, the covering forces and assault columns could move quickly. However, in reality, most men were exhausted and sick, and this could have considerably hampered their efforts, especially in the scorching August heat. Many men concealed the fact that they were ill in order to take part. There was huge confidence at the beginning of the offensive that they would be victorious. Pte. Ronald Cochrane describes a doctor's view on the troops health. "And I overheard before the August 6th business at Suvla Bay, Doctor Craig, who was our main battalion doctor, had taken the temperature of all the old hands who had been there so long, and he came down and reported that his men were unfit for that August offensive, or unfit for any attack over the top. So Godley immediately jumped on him, and he says, ‘Remember, Captain Craig, I’m in command here, not you doctors.’ Well the doctor says, ‘I’ve reported this’ and he says, ‘to send those men into action, it’s inhuman.’"
During the August offensive, each man had to carry between 200 and 300 rounds of ammunition, food rations for two days, and water. 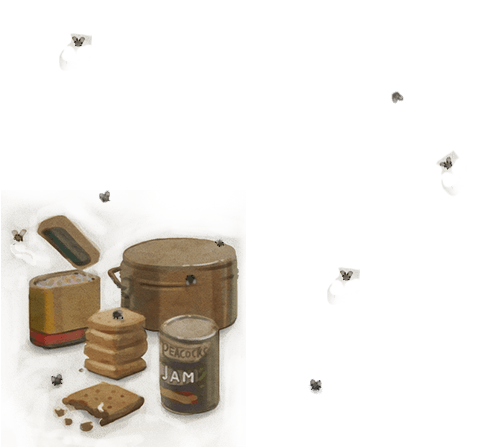 Some men carried haversacks filled with homemade bombs made out of jam tins, and some carried brass rifle grenades, which had just arrived on Gallipoli. One of the most arduous tasks during the night assault on 6 August was carrying the machine guns and associated equipment up very steep hills. This included boxes of ammunition weighing 11 kg each, guns weighing 30 kg and tripods weighing 20 kg. The journey up the deres (valleys) of the Sari Bair Range was long and strenuous, and the lack of rest took its toll on the troops. 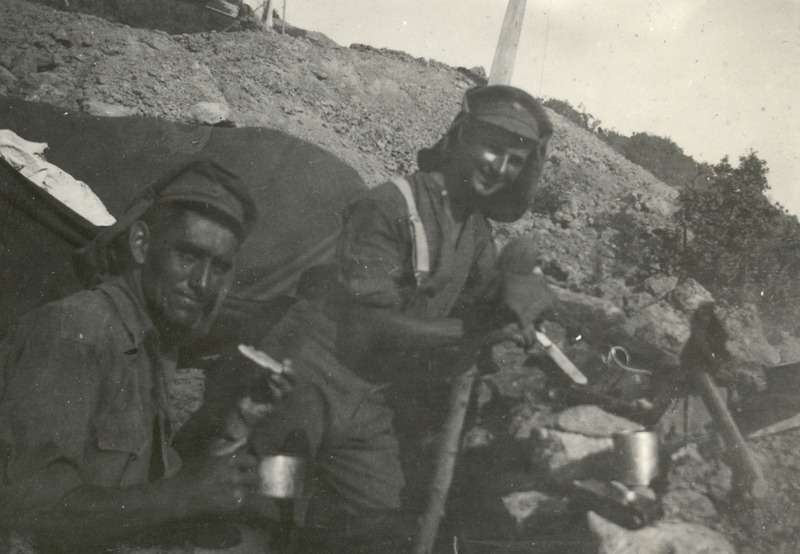 On 7 August, some members of the New Zealand Infantry Brigade tried to dig in at the Apex and along Rhododendron Ridge, but the earth was stony and hard, making digging difficult. To make matters worse, many men had thrown away their cumbersome picks and shovels in the valleys during the night. Installing and maintaining telephone and telegraph lines at the front was difficult work, and sometimes deadly.